On April 16th 2018 was premiere of the “Kingdom of shadows” show from the shadow theatre VERBA took part in the native for the team city- Chernihiv. On the stage of the Drama Theater, the artists presented a new program for the whole family. Spectators could plunge into the fairy-tale world of heroes and adventures familiar from childhood. Dreamy Cinderella, brave Harry Potter, inquisitive Alice, courageous Hercules … this is only a small part of the list of characters of world-famous cartoons and fairy tales, whose stories managed to transfer the VERBA team to the mysterious world of shadows. The theater team was grateful to the native spectator for the sold-out and incredible emotional feedback. The artists expressed their gratitude to Dmitry Obednikov and the actors of the Philharmonic Center who helped create a fabulous atmosphere at the beginning of the show, Make up artists Pudra, flower studio Florella, video and post-production studio Karas Movies, information sponsors – TV companies “Noviy Chernigiv” and “Suspilne Chernigiv”, to the portals “Anoncer”, “Chernigov Kisel”, gorod.cn.ua, to the magazine “Boom”, advertising service “Print”. Also the audience was waiting for an intriguing surprise – 3D shadow show! 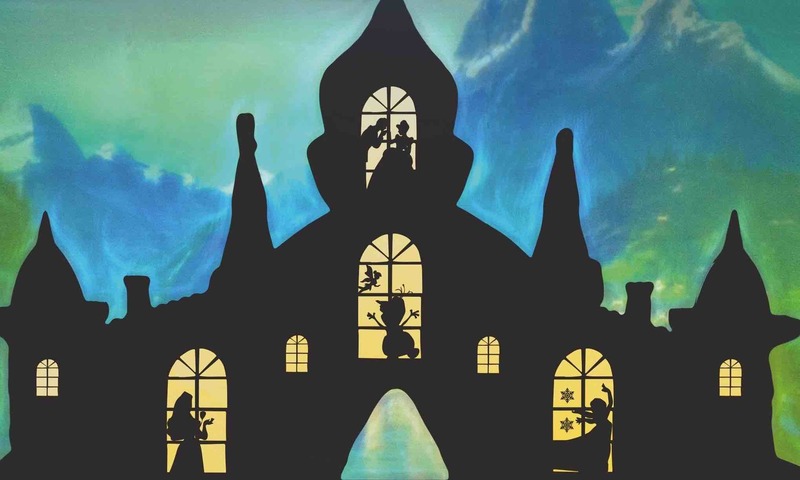 For the first time in Ukraine, the shadow theater VERBA presented on big stage its creative experiment, in which artists united the genre of the shadow theater with modern graphics and visual effects. This time, on the stage in the shadows, the world-famous epic serial saga “The Game of Thrones” came to life. The theater was inspired by the Kiev director Vladimir Marin, known for his works in such TV shows as “America’s Got Talent”, “X-Factor”, “Ukraine is talent” and many other things.